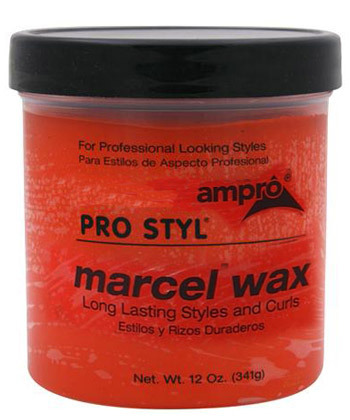 Ampro Pro-Styl Marcel Wax Gives a tighter and longer lasting curl Great to use around edge of hair to keep it from reverting back because of moisture Creates well-defined curls Prevents frizz Ampro Pro-Styl Marcel Wax helps curl and hold the style longer. Curls are better defined and resist humidity with Marcel Wax. Helps prevent frizz and gives a tighter curl.